Individually, with ‘Invader’ and ‘Lucir’, they’re two producers who’ve done well for Vandit in recent months. 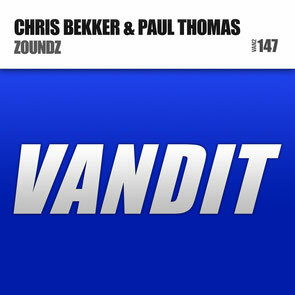 Now, studio-side, Berlin meets Birmingham as Chris Bekker and GodsKitchen resident Paul Thomas bring together their own production, ‘Zoundz’! Their Intention Mix marries the trancey prowl of analogue-ish bass with judiciously distorted sub-riffs and intense kick-drum programming. Amplifying the tension, it teases out the intro, building, before hitting ‘release’ on ‘Zoundz’s lead line. Deepening its LFO vibrancy, the Tough Love version gives the track some proper low-end thump and drive. With a profusion of hissing, heavy industry styled FX and low-pass sweeps, the mix shifts onto darker trance terrain. It's out now on Vandit, check it out below.